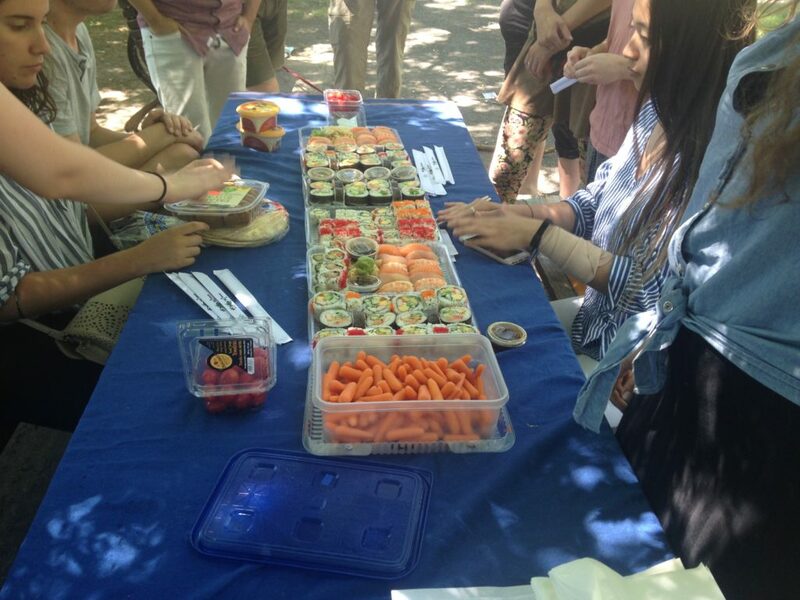 Home » Free Sushi and Solving Climate Change with Concordia’s Sustainability Hub? Count me in! Okay, so maybe not solving climate change, but the free food part is true! The Concordia Sustainability Hub is an open group of rad folks who come together on a monthly basis to talk about sustainability. Regular attendees usually include SC, the SAF, the CFC, CUCCR, The Dish Project, EH&S, JSEC, and The Concordia Greenhouse, although anyone looking to learn more about sustainability or get involved is always welcome. Conversations typically focus on what groups are up to, what they could use support in, how they can offer their support to others, and even how events and activities can be collectively organized. A much anticipated and upcoming “Lunch & Learn” series set to launch this coming Fall based on the Sustainability Action Plans at the university is an example of just that. These Lunch & Learns are community events open to all people who are interested in learning more about sustainability in the Concordia context, as well as how they can get involved in being part of the change. The first Lunch & Learn is set to take place on Thursday, September 13th from 11:00 am – 1:00 pm in the EV Junction and will tackle arguably the greatest challenge of our time: Climate Change. Climate change, waste, food, research and curriculum, and accessibility and diversity are some pretty all-encompassing and poignant issues in the sustainability world, so we think that it’s great that Concordia is working on institutionalizing sustainability in terms of its practices, policies, and processes by creating and eventually implementing action plans based on these 5 “sustainability streams”. These Lunch and Learns will create a space for people to learn about Concordia’s current sustainability efforts, engage in discussion with experts and change-makers on campus about what is systematically working well and what needs to change, and discover how they can get involved in cultivating an inclusive, empowering, and impactful culture of sustainability at the university. Not to mention, Rawlins Rolls (the hottest vegan sushi joint around campus) will be tickling our tastebuds on the 13th, so you really don’t want to miss this! We can’t wait to see you there. If you have any questions about this event, or Concordia’s work on the Sustainability Action Plans, don’t hesitation to pass by our space and start a conversation.